Tea isn't just a tasty beverage – it can actually help you to de-stress. Look for caffeine-free herbal teas or low-caffeine green and white options as they won't give you the jitters and make your worry worse. Add a squeeze of lemon and some honey for extra antioxidant fighting power to ward off colds and flus that you may encounter this holiday season. Shopping is a major part of the holidays as families head to the grocery store for feast ingredients and the mall for all those presents. Between standing in line at those two locales and waiting ages at the post office, many people are on edge. The best way to chill out while staying in your spot? Take deep breaths. When worried or hurried, your heart rate increases and breaths shorten and get faster. Bring more oxygen to your brain to relax your entire body by taking purposeful, long, slow and deep breaths. Breathe in through your nose and out through your mouth. This can even help calm down little ones who are impatiently waiting to head home. This trick is also useful while cooking dinner for the whole crew and any other time you find yourself getting anxious. Massages ease tense muscles to reduce pain and soreness. If you live in a climate that gets cold during the winter, you're likely feeling tense. When heading out into frigid temperatures, the body braces itself by contracting muscles, which is why many individuals get sore necks and backs at this time. Plus, you likely change your walk to account for stepping on snow and ice, and that can make your legs sore too. Consider getting a massage to ease these aches and pains. 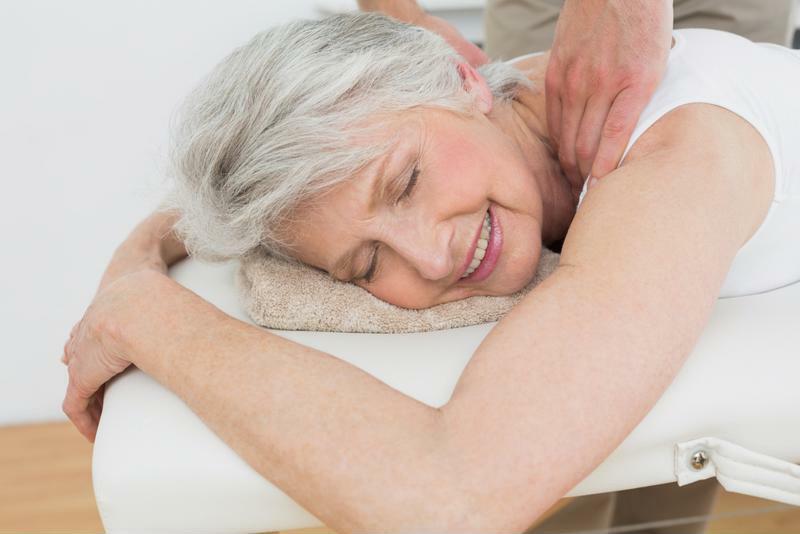 You can see if your assisted living community offers a masseuse or physical therapist. Buy a home massage tool that will knead your knots or just ask a trusted relative for a quick backrub between holiday activities. Your entire family may want to get in on the fun by forming a massage train for a 10-minute feel-good session. During this time of year, most travelers are stressed out as they hustle through airports and train stations on their way to holiday destinations. That's why some transport hubs have stress dogs there specifically for people to pet and visit with. Yes, the pups are awfully cute, but they also provide visitors with feelings of love and happiness. The physical act of petting an animal can reduce cortisol levels and promote relaxation. If you're on the go, keep an eye out for these special dogs. Otherwise, make an effort to take five minutes away from the business of the kitchen and visiting to pet your own animals or visit with your loved ones' furry pals.